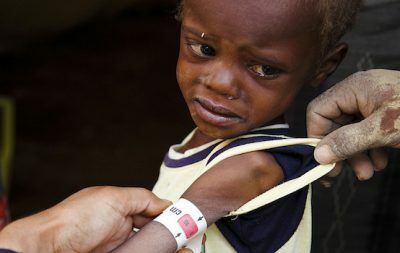 As Americans get ready for Thanksgiving 2017 over-eating, their government is on the verge of successfully starving millions of Yemenis to death by siege warfare. The US naval blockade of Yemen has been unrelenting since March 2015. The US Navy is an essential element of this perpetual war crime, this endless assault on a civilian population of about 25 million. This is the kind of collective punishment of innocents that we once put Nazis on trial for at Nuremberg. The US Department of Defense Law of War Manual, however, advises (section 5.20.1, page 315) that: “Starvation is a legitimate method of warfare.” So now the US is a blithe mass-murdering state with impunity, qualities hardly ever mentioned in the world’s freest media (with one remarkable exception in Democracy NOW, where coverage of Yemen has been excellent at least since 2009). This article was originally published by Reader Supported News.